LAS VEGAS, NV, January 6, 2010 -- Casio America, Inc., and its parent company, Casio Computer Co., Ltd., today unveiled four new models in its award-winning EXILIM product line. Advancing the company's performance-driven digital camera offerings, each new model builds on Casio's tradition of delivering technological innovation and creativity to users. 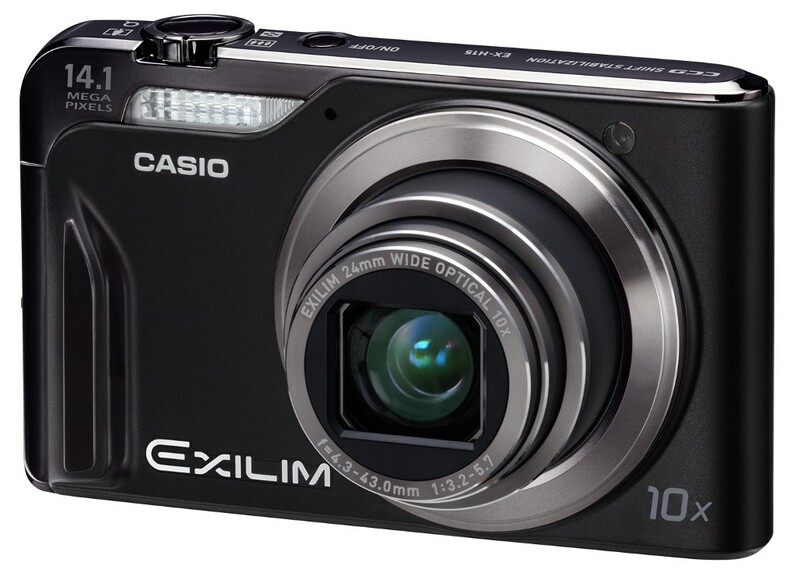 The first, the HIGH SPEED EXILIM® EX-FH100, featuring Casio's heralded high-speed burst shooting, ensures users never miss a crucial shot again and packs a high-power zoom lens into a compact body. 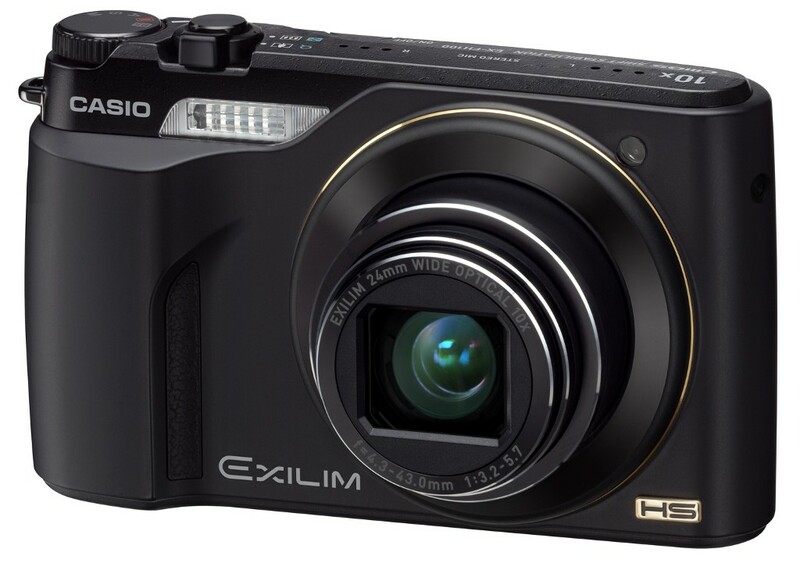 The next three, the EXILIM EX-H15, EX-Z2000 and EX-Z550 all feature Casio's unique Dynamic PhotoTM function that lets users edit and combine different moving images right on the camera. The leading models of this lineup, the EX-FH100 and EX-H15 are 10X optical zoom cameras, providing users with the ability to capture images from close or far distances. While the EX-FH100 makes the most of Casio's unsurpassed high-speed burst shooting, the other three feature high-speed image-processing technology -- not only to improve image quality, which has always been a key element of camera performance, but also to offer users entirely new ways of enjoying photography. Thanks to the high-speed image-processing capability of the cameras, moving subjects can be dynamically "cut out" and pasted into a different still shot that forms the background. Before this technology was introduced by Casio in 2009, this Hollywood-like green-screen effect was only possible with professional equipment or software, but this technology is available in EXILIM digital cameras as an in-camera process. Casio's Dynamic Photo feature was further enhanced through the ability to add animation art stored on the memory card to still photos captured by the camera. These animated images can be emailed, posted on social networks and even printed out at home! "Casio is proud to introduce four new additions to the EXILIM line of digital cameras powered by Casio's high-speed technologies," said Toshi Iguchi, senior general manager of Casio's Digital Imaging Division. "Casio continues to create digital cameras that enhance the photo taking and sharing experience while also providing consumers with convenience, accessibility and quality packed into a slim, sleek body." This 10.1 effective megapixel high-speed digital camera boasts a wide-angle 24 mm 10X optical zoom lens in a compact body that makes it easy to carry anywhere. It also gives users a maximum burst rate of 40 shots per second for still images (maximum image size of 9.0 megapixels and maximum shooting capacity of 30 shots) that can now be used to photograph distant subjects thanks to the high-power zoom. It also enables up to 1,000 fps high-speed movie recording that captures motion that is ordinarily too fast for the human eye to see. The EX-FH100 allows users ranging from advanced amateur photographers to beginners to enjoy high-speed burst shooting. It is equipped with a mode dial that enables manual exposure burst shooting and also has a mode that makes high-speed burst shooting easy, a feature that sets the burst shooting speed to the optimal rate just by selecting the type of scene. With this model, Casio also achieves low-noise, high-quality photography even in dim indoor lighting by using a highly sensitive CMOS sensor. 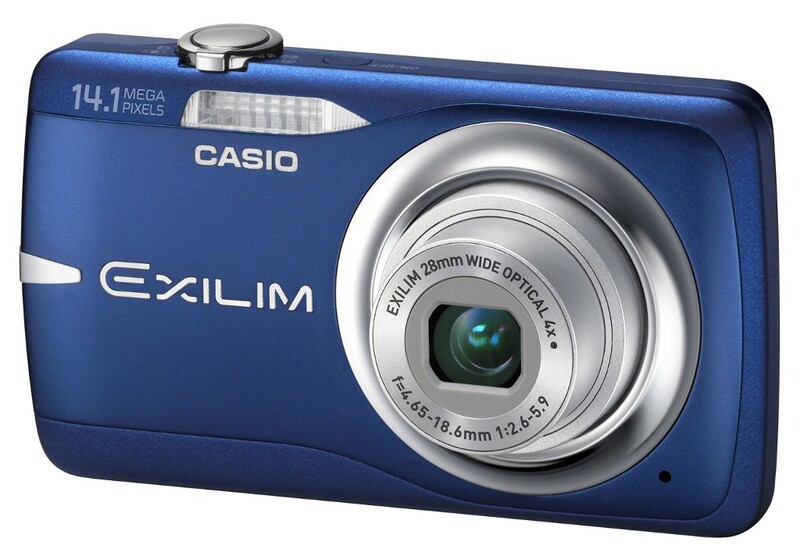 These three models are all 14.1 effective megapixel high-performance digital cameras driven by Casio's newly developed EXILIM Engine 5.0. Great advancements have been achieved in the Dynamic Photo function, which enables users to cut out images of a moving subject and paste them on a different still image that acts as a background. With these powerful new cameras, moving images can be combined not only on a still image but also on other moving images. This new capability increases the power of expression of images even more than before. Going further, these models not only increase the "fun of creating images," but also increase the "fun of sharing images" by, for instance, making it easy to upload composite moving images to YouTube™ using the included software or post them to a blog. The three cameras also come with Premium Auto, which is a state-of-the-art, fully automatic function that enables users to take beautiful photos just by pushing the shutter button. Premium Auto automatically adjusts to achieve optimal image quality by discerning the point of focus and the type of scene, whether a night scene, a backlit scene, or a sunset. It processes the image according to the details in the frame, for instance, by making different corrections for human subjects and background. In addition, the leading model, EX-H15, features 10X optical zoom. The EX-FH100 features a high-power zoom lens in a compact body measuring just 105.0 mm wide x 63.2 mm tall x 29.9 mm thick. * The lens delivers all the freedom of zoom photography -- from a wide-angle 24 mm to a 10X optical zoom that brings distant subjects right up close. * In accordance with Camera & Imaging Products Association (CIPA) standards. This model can take up to 30 shots of 9.0 megapixel high-resolution images with high-speed burst shooting at a maximum speed of 40 shots per second. What is more, if the camera is set to Prerecord Continuous Shutter, users will not miss those critical moments even if they press the shutter a little late, since the camera starts shooting when the shutter button is only depressed halfway. * For example, one second of actual movie recorded at a speed of 420 fps can be played back over 14 seconds at 30 fps. Casio continues the quest for ever-higher picture quality, the foundation of every camera's performance. This model incorporates a back-illuminated CMOS sensor that boasts nearly twice the usual sensitivity. This lets users take beautiful photos outside as well as high-quality, low-noise photos indoors or in other dim lighting. And of course, the model also comes with CMOS-shift image stabilization. With the EX-FH100, users can take beautiful photos -- even of human subjects at night -- without worrying about photo blur. The camera can do this by internally combining images taken with a single press of the shutter button using highly sensitive high-speed burst shooting with the flash into a single, crystal-clear image. The EX-FH100 takes three images using high-speed burst shooting, adjusting the exposure for normal (standard), bright, and dim subjects, respectively, with a single press of the shutter button. These images are then combined into a single image inside the camera, enabling reproduction of full brightness throughout the photo and helping to avoid bad photos with washed out or overly dark areas when the scene is strongly backlit. The EX-FH100 also has "High-Speed Burst Shooting Best Shot" and "High-Speed Movie Best Shot" modes that optimize the burst shooting or high-speed movie settings simply by selecting the type of scene to be photographed -- such as a child, pet, or sports scene -- at the critical moment or in slow motion. The EX-FH100 also features an HD Movie function. Just press the dedicated Movie button to take beautiful movies at 1280x720 pixels. The camera is equipped with an HDMI™ terminal and stereo microphone, which enable users to enjoy a beautiful picture and realistic sound by connecting the camera to a large display TV. Casio has achieved great advancements in Dynamic Photo, a function that creates "moving photos" by cutting moving subjects from the background in images taken with continuous shooting and combining those images on a different still image. In addition to composites made with a still image background, cut-out moving images can now be pasted on other moving images. This new capability raises the power of expression of images. Thus, while increasing the "fun of creating images," these models will also increase the "fun of sharing images" by making it easy to upload images to YouTube™ using the included software or post them to a blog. This function enables the camera to automatically analyze the scene being photographed -- including distinguishing night scenes, back lighting, a blue sky, green trees, or a sunset -- as well as sensing whether there is a face in the frame, the movement and position of the subject, and whether a tripod is being used. It simultaneously optimizes settings for exposure, ISO sensitivity, point of focus, photo blur correction, tonal range and color balance, and level of noise reduction. Premium Auto is a state-of-the-art, fully automatic function that makes it easy for users to take superior quality photos just by pushing the shutter button, by analyzing the image at the level of individual pixels and performing different corrections for human subjects and the background. The Art Shot Function makes use of the image processing technology in the EXILIM Engine 5.0 to create photos of scenery or human subjects that have the feel of a painting. The view in the LCD screen of the subject in front of the user can be switched between an oil painting, a crayon drawing, or a watercolor painting, allowing the user to select the preferred art style in which to photograph the scene. This 14.1 effective megapixel model packs a wide-angle 24 mm 10X optical zoom lens and a 3.0-inch Super Clear LCD screen with a high resolution of approximately 460,000 pixels into a compact body. The camera is also loaded with advanced standard features including CCD-shift image stabilization, long 1,000-shot* battery life on a single full charge, and the high-resolution HD Movie function. This 14.1 effective megapixel model comes with a wide-angle 26 mm 5X optical zoom and a 3.0-inch Super Clear LCD screen with a high resolution of approximately 460,000 pixels in a compact, thin body. The camera comes with CCD-shift image stabilization and HD Movie function, as well as a long-life battery, making it possible to take 580 shots* on a single full charge. With this model, Casio has also realized a fresh new digital camera design, creating an innovative form finished in natural curves. * In accordance with Camera & Imaging Products Association (CIPA) standards.. 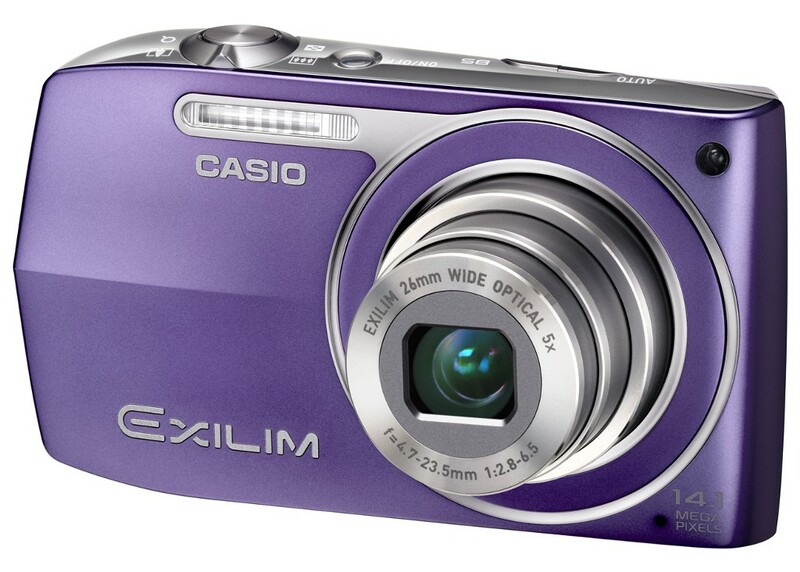 This camera features a wide-angle 26 mm 4X optical zoom lens and a clear 2.7-inch LCD screen. A 14.1 effective megapixel model, it is equipped with CCD-shift image stabilization and HD Movie function.